Go Connect is our main server application. It works by talking directly to the telephone system and converting the output into a consistent format for applications to use.  In addition to this, Go Connect adds a number of extra features to make telephone systems better and more consistent. his is definitely the BEST BIT: Many of our development partners have found that they have had to make little or NO CHANGES to get their applications working with Go Connect. This is because Go Connect has the ability to impersonate many of the more popular telephone systems and thus partners' applications think that they are still talking to the telephone system that they were designed for! Which telephone systems does Go Connect work with? Go Connect works with over 40 different makes and models of telephone system.